Technology permeates virtually every aspect of business today. From email and mobile communication tools to global ERP systems, most companies rely on technology to the point that without it, their operations would grind to a halt. 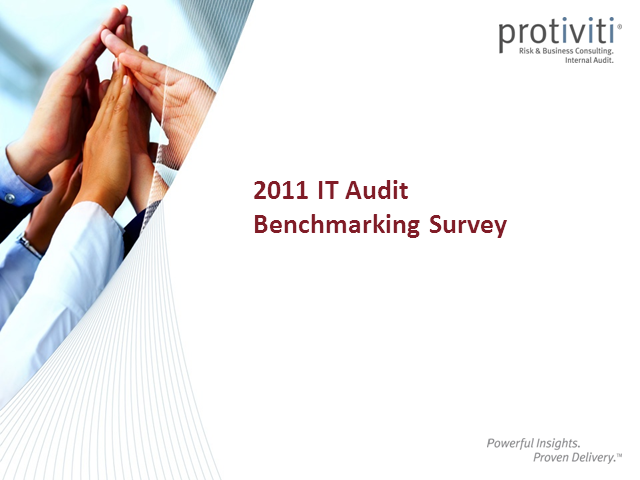 Protiviti conducted its IT Audit Benchmarking Survey to analyse the many underlying IT audit trends and gaps evident in organisations today. During our IT Audit Benchmarking Survey webinar, we will present the results and discuss the areas where the profession is doing a good job, and those areas where the profession needs to improve to be compliant with the both The IIA Standards and management's expectation of reasonable assurance.